This presentation is designed to describe the risk factors and prevention strategies for opioid overdose. Attendees will learn the signs of opiate overdose and how to appropriately respond to an overdose. They will learn information on Naloxone, and the proper way to administer the medication. 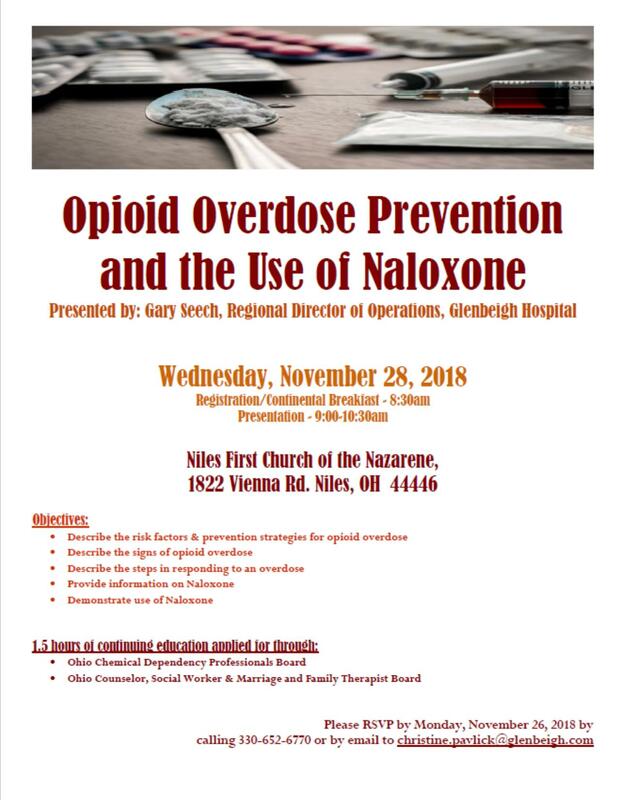 Please RSVP by November 26, 2018 by emailing christine.pavlick@glenbeigh.com or by calling 330-652-6770.